Date: Aug 14 2018, 8 a.m. - 9 a.m.
Indoor cycling puts things in full gear with its awesome tunes, control over resistance and speed, and overall intensity. Spinning is definitely no ride in the park, though. It will amp up VO2 max (the rate oxygen is carried to the muscles), a sign the body is being pushed. Plus, all that pedaling will work your quads, hamstrings, glutes, calves, and core. 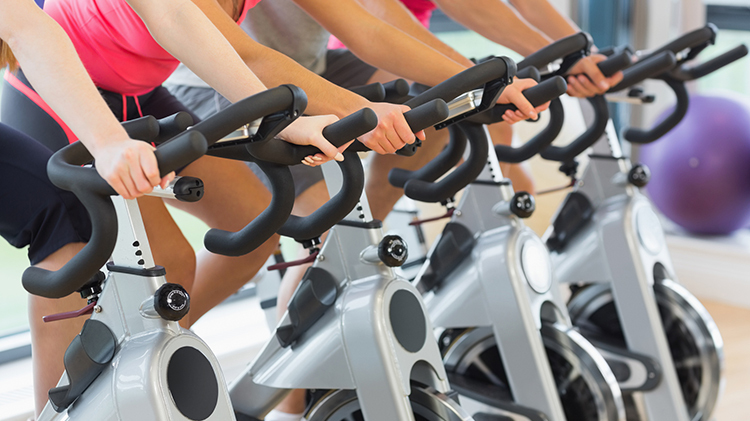 Studies have also found that indoor cycling can help shed unwanted pounds and potentially ward off migraines, while keeping impact on your joints to a minimum.